Trademark and logos. Important Note We need to move these our loss is your gain! • Intensity: 4. 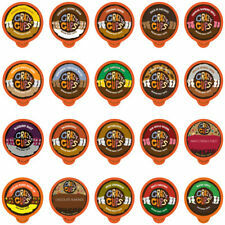 Our hot cocoa pods are 2.0 Keurig K-Cup Brewer Compatible. We are not affiliated or endorsed by Keurig Dr Pepper. WE WORKED HARD TO BUY THE BEANS RIGHT AND COMBINE THEM TO MAKE A CONSISTENTLY GREAT YET AFFORDABLE COFFEE. THIS IS A WELL BALANCED COMBINATION OF BEANS THAT HAS A GREAT FLAVOR ALONE BUT WILL ALSO STAND UP TO CREAM AND SUGAR WITHOUT LOOSING IT'S TASTE. With Flavia Barista's Blend every fresh brewed cup is good to the last drop. The Starbucks Verismo brewer system makes it easy to craft an endless variety of your favorite Starbucks beverages with the touch of a button, from high-quality brewed coffee to authentic espresso beverages. Trending at $21.50eBay determines this price through a machine learned model of the product's sale prices within the last 90 days. 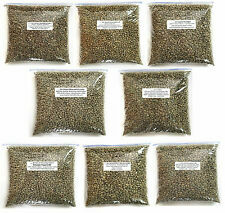 You will receive 1 - 5LB Bags of Decaf Espresso Whole Bean Coffee Bags Best Before Date is February, 10, 2019. Enjoy the Starbucks coffee you love without leaving the house. Manufacturer: Starbucks. You're already purchasing the item. They blend quickly and seamlessly with both hot and cold beverages, making them the perfect mate for any beverage. Simply stir, and indulge. Combine vinegar & granulated sugar in small saucepan. Cook gently until reduced by half. Our finest quality Arabica and Robusta coffee beans and Ganoderma are blended with cream and sugar for a creamy latte minus the wait in line! Organo Gold. Organo™ Café Latte. No need to drive and wait in line for your daily morning latte. Enjoy amazing tasting flavored coffee at incredible prices! Enjoy your guilt free dessert with the most luscious and exciting FLAVORED COFFEE. ➤ Peppermint Chocolate Mocha. WHAT IS IT?. Instant coffee provides antioxidants. This flavorful organo gold instant coffee also contains Ganoderma mushroom which provides a hint of nutty flavor to balance the rich, bold and smooth flavor of this coffee. Everyone loves how easy it is to make instant coffee. If you prefer a little more creamy taste to your coffee, reach for Lingzhi Coffee 3 in 1. Just add one sachet of the Lingzhi Coffee 3 in 1 into 150ml of hot water and stir to enjoy a sensational new coffee experience with DXN. If you have a 1.0 or 2.0 Keurig brewer, then this box of single serving coffees can be a great choice. This Grove Square Cappuccino K-cup selection combines the taste of French vanilla with rich coffee flavor.